Our product range includes a wide range of oil radiator cooler, heat exchangers, intercoolers and after coolers, turbine oil cooler, u tube bundle and hydraulic oil coolers. Backed by huge industry experience and market understanding, we are involved in providing a wide variety of Oil Radiator Cooler for our valued patrons. The client gives us the Thermal Design Parameters of the Fluids on both the sides. Based on the nature of the fluids, first of all, appropriate MOC is selected. 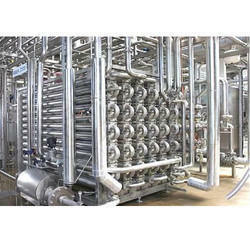 Again Based on the nature of fluids appropriate type of Heat Exchanger is selected. After the initial confirmation on the above from client, thermal design is carried out on internationally reputed software like HTRI/HTFS. 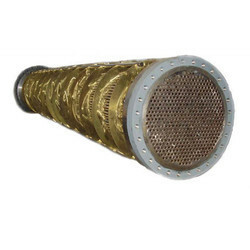 The Heat Exchangers is optimized within the allowed parameters of Pressure Drop, using the allowed values of Fouling Factors, Fluid Velocity etc. 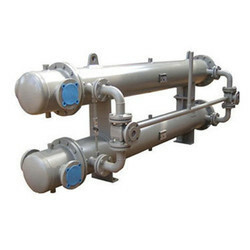 Mechanical Design of the Heat Exchangers/Pressure Vessels. After receipt of approval of Thermal Design Calculations from client/HTRI Output Data from Consultant, Mechanical design based on applicable Codes like TEMA & ASME etc is carried out. Complete Mechanical Design including Local Load Analysis on Nozzles as per WRC 107 is carried out on PV Elite/Bjack and thickness of various components is arrived at. Drawings based on completed Mechanical Design are prepared & submitted to client/consultant for approval completely as per ASME & TEMA Codes. Based on the approval given to the drawing and calculations, either manufacturing process is taken up or rework on drawings/design is carried out to achieve the closure on the same. After approval of the drawings & calculations orders for Raw Material are placed with approved suppliers for various parts. Stagewise inspection of tubes/forgings at the Tube/Forger's manufacturing place is carried out, with the witness of physical test and hand picking of tube/forging samples for chemical composition analysis by TPI at an approved laboratory. After approval of the forgings/plates/tubes duly identified by TPI, they are processed for machining/fabrication and drilling operations. Various Stages are offered to TPI as per the approved QAP. 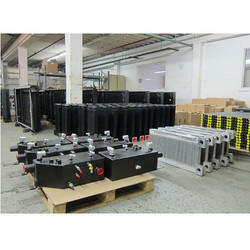 Necessary QAP/WPS etc are in place and welding carried out using calibrated welding rectifiers. Calibrated Ovens for preheating of electrodes are used. After carrying out the welding, visual check and Dye Penetrate check is carried out by us. Radiography is carried out by competent agencies hired by us. Cases where Post-Weld Heat Treatment is required, the material is sent to outside agency for carrying out Heat Treatment before Radiography. Entire Equipment is checked visually for any weld splatters, surface finishing etc. The equipment is checked dimensionally to confirm that all the dimensions within the allowable tolerances of the applicable code. Final Hydro-test is carried out after all the above stages are cleared. Intercoolers and After Coolers are used for cooling of air/gas which gets heated up during the different stages of compression of air/gas. 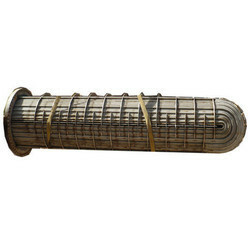 Turbine Oil Cooler are manufactured for use with turbines driven by steam as well as gas. We carry out Thermal & Mechanical Design and manufacture Turbine Oil Coolers according to as per the client's requirements. 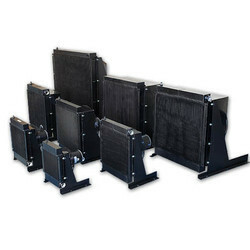 We carry out the manufacture of Turbine Oil Coolers exactly as per the Client's existing Oil Coolers. For the same we depute our technical representative to Client's Site, examine the Turbine Oil Cooler and manufacture the new Turbine Oil Cooler exactly as per the existing ones. 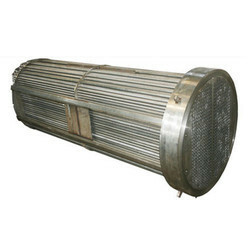 We also carry out the re-tubing of the Turbine Oil Cooler on site and at our works too. Re-tubing is done and is feasible in case of large MW turbines only. We bring forth an advanced technology product in the form ofU Tube Bundle. We manufacture the entire ranges of Hydraulic Oil Coolers suitable for Injection Moulding machines manufactured by Delco Engineering Pvt Ltd.
We are a prominent manufacturer of Industrial Hydraulic Oil Cooler. Longer working life, optimum performance and sturdiness have made our products popular among Food, Chemical and Pharmaceutical Industries. Manufactured using quality grade basic material, our entire product range is in compliance with international quality standards. 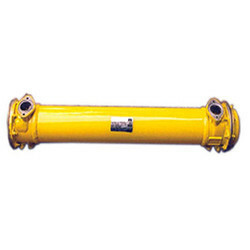 To fulfill varied requirements of clients, we also offer our products in various specifications. 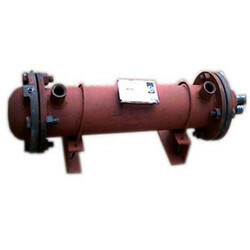 Oil Cooler is generally used for cooling of oil, which gets heated up in gearboxes, ID fans, extrusion press, couplings, rotating shafts etc. We carry out thermal, mechanical design and then manufacture the entire ranges of Oil Coolers suitable for Gear Boxes manufactured by M/S Election, Greaves, Shanthi Gears, Walchandnagar etc for their different capacities Gear Boxes. Tube Sheets are in good condition.